Ben Stokes isn't the first player to get involved in an altercation away from the cricket field. Luckily for the following, there weren't as many smartphones around back then. Some of the locals weren't too pleased to see the players out celebrating a few days after they'd been knocked out of the FA Cup by non-league Altrincham. In a nightclub called Tiffany's, some disgruntled men started giving goalkeeper Joe Neenan, who Botham called a good friend of his, a hard time. Words were exchanged in the club, again in the corridor, and later, outside, as the team waited for their mini bus. According to Botham in his autobiography, the men continued to bait Neenan until he and Botham decided they'd had enough, chased their tormentors down the street and cornered them in an alley, where Neenan punched one of the men in the face. The man subsequently went to the police and the newspapers, and Botham and Neenan were charged with assault. Neenan pleaded guilty and accepted a fine; Botham pleaded not guilty and opted for trial in the Crown Court. For a while it was thought that he, like Stokes, might be on trial when he was supposed to be playing for England, in the West Indies. But the trial was put back, and Botham was eventually acquitted. Clarke didn't play as many Test matches as fellow West Indies fast bowlers Andy Roberts, Michael Holding and Joel Garner, but the batsmen who faced Clarke, particularly those in English county cricket, where he played for Surrey, said that he was as fast and fearsome as any of his more illustrious compatriots. Certainly there seemed to be consensus that he was among the meanest. The reputation was underlined when on New Year's Eve, during the deciding Test of an arduous tour to Pakistan, Clarke threw a brick into the Multan crowd. In the previous Test, in Karachi, West Indian fielders had been pelted with fruit by fans, and on the first day in Multan, the touring team were unhappy about a few umpiring decisions that had gone against them. On the second day, Clarke, was fielding at fine leg. The crowd had been throwing stones and other small objects, in his direction, for a while, but after an orange hit him on the back of the head, he snapped. He picked up one of the boundary markers, a brick, and hurled it into the crowd, hitting a 22-year-old student on the head. The crowd retaliated, bombarding Clarke with objects as he backed away. The game was delayed for 20 minutes and West Indies batsman Alvin Kallicharran, had to appeal for calm, on bended knee, before the game could resume. The fan was rushed to hospital, where Clarke and Jackie Hendriks, the West Indies manager, visited him and Clarke apologised. Clarke was suspended for three games, missed the 1980 tour of England, and only ever played one more Test, two years later. Chappell was the other half of an infamous run-in with Ian Botham in Melbourne during the 1977 Centenary Test, and two years on, he was involved in another altercation, if not so well known, in Guyana, when he led Kerry Packer's World Series Australians on a tour that both sides described as the toughest series they ever played in. Both teams were packed with hostile fast bowlers and the winner took all the prize money, so tensions were high. Things were tense outside some of the grounds too, with social, economic and political disquiet bubbling under the surface. The Bridgetown match ended prematurely when the crowd rioted. When the teams arrived in Guyana, they were 1-1, with two Supertests to play. Chappell recalls in his book Hitting Out that the ground was under water, from heavy rainfall over the previous days, but the sun was shining on the Sunday and the local paper announced that play would start on time if there was no more rain. 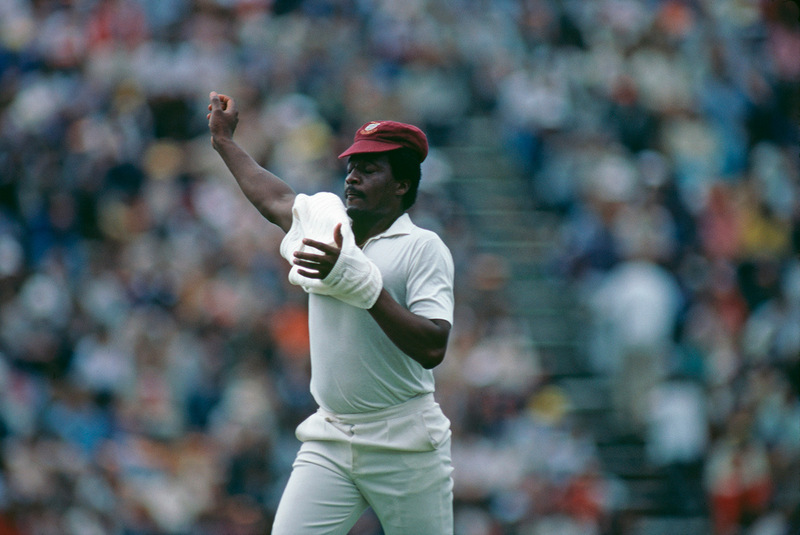 Chappell, Clive Lloyd and the two umpires agreed that although the wicket was fine, the outfield was not fit for play, particularly the bowlers' run-ups. As time went on with no play, the crowd grew restive. Apparently, spectators couldn't claim a refund on their tickets once they were in the ground. After Georgetown's chief of police said there would be a riot if there was no play, the teams reluctantly agreed, as long as they could start at four and finish an hour later. That was too late for the crowds, who began to riot. Players locked themselves in the pavilion as the ground descended into turmoil. Chappell blamed Vic Insanally, the stadium announcer, for causing the riot with misleading messages on the PA. The local newspaper didn't agree; their headline said it was the Australians' fault for refusing to play. 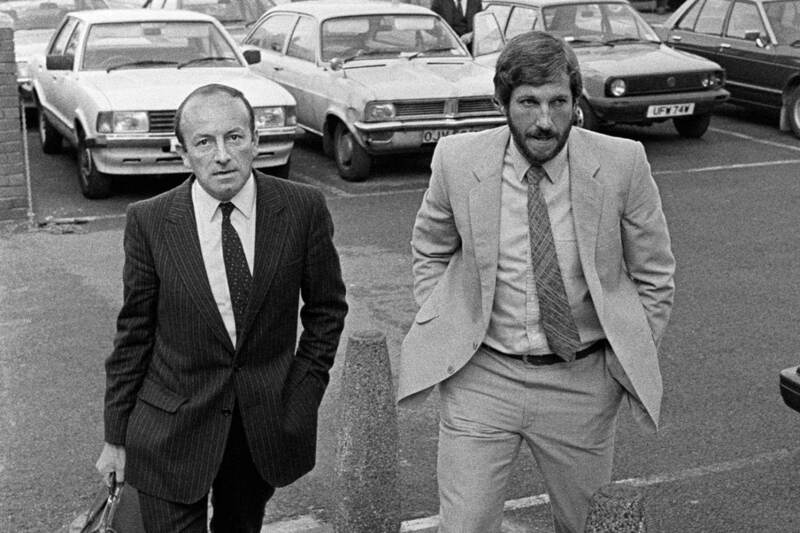 The next day, Chappell, in a foul mood, and on his way to the press box to have a word with the journo who had written the article, bumped into Insanally. Chappell says that he swore at Insanally and blamed him, again, for starting the riot, and that when Insanally retaliated verbally, he hit him in the stomach with the back of his hand. Chappell was charged with assault, made to sign a grovelling apology which was read out in court, and got a fine for assault and abusive language. You might think it would take a lot to rile the always placid-seeming Inzi, who always looked at ease whether batting, standing at slip, captaining the side, and even running between the wickets. One time, though, even Inzi famously lost his cool. It was September 1997, Pakistan versus India in the Sahara Cup in Canada, and Inzamam was fielding at slip as India chased down Pakistan's meagre 116. In one of the stands was a megaphone-wielding Indian fan, eager to let the Pakistanis know which way the game was going, who had been taunting the players and rival fans throughout the day. 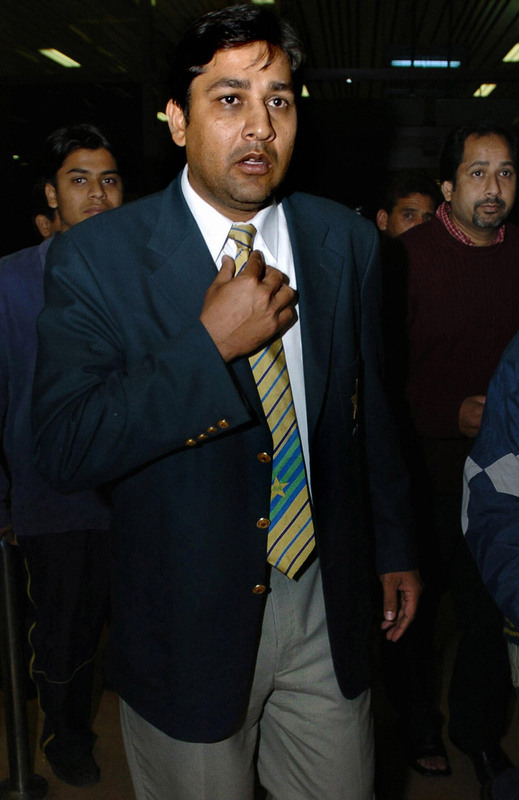 Inzy was one of his targets - being called a "fat potato" among other things - but by no means the only one: Mohammad Azharuddin, Sourav Ganguly and Debasish Mohanty were also reportedly at the receiving end at various points. After one drinks break, it seemed that Inzamam had had enough. He ran from his position at slip, down to third man, jumped the fence and waded into the crowd, stepping over seats, towards the offending fan. Police and a steward ushered Inzy back onto the ground, but he subsequently grabbed a bat lying by the boundary rope and started heading back towards the man with the megaphone. Luckily, stewards and team-mates ushered him away. Team managers and umpires tried to appease the spectators, but it didn't work. Some fans started hurling things on the pitch, pushing and fighting each other, and a few tried to run out onto the ground. Police guarded the enclosure and the game finished, India winning comfortably. Inzamam later defended his actions, saying he did what anyone would do if someone abused their country and religion. The match referee, Jackie Hendriks, banned Inzamam for two ODIs. The fan made a complaint and was himself charged for trying to hit Inzamam with his megaphone. Both parties later withdrew their complaints. Indian fans weren't too happy when their team was knocked out of the 2010 World T20 in West Indies after they lost all their Super 8 games. When six of the players decided to visit a pub in St Lucia called Tequila Joe's, soon after losing to Sri Lanka, it was too much for a small group of supporters. Reports say that six players - among them Yuvraj Singh, Zaheer Khan, Ravindra Jadeja and Ashish Nehra - were angrily taunted by the disgruntled fans, who seemed to object that the players were ostensibly enjoying themselves on a night out so soon after being knocked out. According to some reports, Nehra and Zaheer briefly scuffled with some fans, during which Nehra's shirt was torn, before the pub's bouncers restored order. Yuvraj later tweeted that there had been no scuffle. Nehra, too, denied all knowledge, saying that he only found out about the fight on TV, in London, later. Also that no one could have torn his shirt because he was wearing a T-shirt. The pub manager confirmed that there had been an altercation, however. The BCCI later conducted an enquiry and issued show-cause notices to the players, giving them a week to explain their role in the incident. Jadeja wrote a letter of apology to the board, for his part in the incident, insisting however, that the players did not instigate trouble nor retaliate to the taunts.